Linde-Price Funeral Service will never sell you anything. Our mission is not to solicit, push, or promote any product or service. We simply provide your family with our most basic selection of low-cost options, and let you choose the type of service and merchandise you prefer. It may be a basic and simple cremation or burial, or a full typical funeral or memorial service. Regardless of what you choose, we provide compassionate service, make dignified recommendations, and promise economical final arrangements. Depending on your needs, we can meet with you either in our office or your home, for your comfort and convenience. We can assist you in pre-planning and making any arrangements needed. Our friendly professional staff is well-trained and licensed for your peace of mind. For your added comfort, we maintain clean and orderly facilities that are modest and project a professional and peaceful atmosphere. We pledge to adhere to honest and ethical business practices in all that we do. We proudly set ourselves apart from other providers as we are family-focused and cost-conscious. Our mission is to eliminate the unwarranted expense attributed to massive profit margins and the manipulative sales tactics that have unfortunately become associated with so many huge conglomerates and other funeral homes. Families are so often sold unnecessary or unwanted products and services. Many feel such practices simply exploit grief-stricken families at their most vulnerable time. When you are in need of our services, let us make things easy for you by taking the usual hassle and complexity out of making final arrangements. Simply call our toll-free number day or night and speak to our Funeral Director on-call. He or she will immediately dispatch a specialist to transport your loved one to our facility for preparations for cremation or burial. When you call, we will only need to obtain the information required to complete the death certificate. Our concise agreement and any needed form or authorization may be accessed and completed from forms provided via our website. 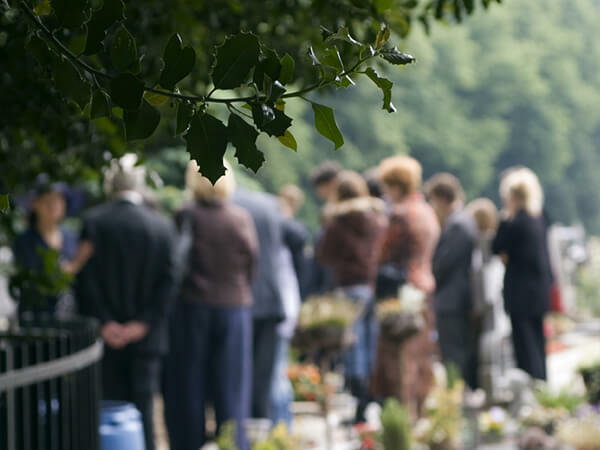 The Funeral Director will schedule an arrangement meeting at a location and time, which will be most convenient for you.